Concord’s annual ‘Activities Week’ for Form 3 commenced last Friday with a creative music and drama themed day, for a local primary school. 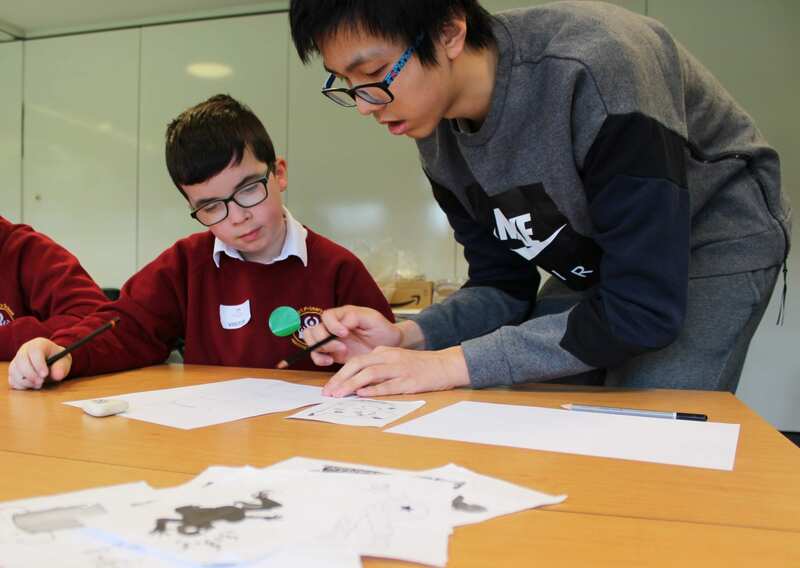 Thirty-seven Concord students, as part of their Bronze Arts Award, hosted small workshops for 45 visiting pupils and staff members from Old Park Primary – the third year in a row Concord has engaged with Old Park Primary for this award. The Arts Award is run by Trinity College London, aiming to support and encourage young people to engage with the arts. Miss Hannah Perrins, a music teacher and coordinator of the award said: “Currently, Concord offers the Bronze Award to its Form 3 students, through their music curriculum. “But, students are encouraged to take into account other art forms which they experience either outside college or in other curriculum subjects including art, drama and physical education.” Form 3 students divided into small groups hosting 30 minute creative workshops of a chosen arts skills, including a warm-up, fun game or activity, and overall objective to teach. The activities were varied and fun, and included cookie decorating, origami, dance, cartoon animation, modelling, general crafts, building a band and music tutorials, as well as a messy ‘splat paint’ activity. The skills share day was the final stage of the students’ award. Other award criteria included taking part in an arts event, experiencing arts as an audience member, and presenting an arts inspiration – researching and showcasing the life and works of a favourite arts-based individual. Reflecting on the final part of the award, Miss Perrins said: “Concord students got the opportunity to develop their arts practice, as well as imparting their knowledge to a younger audience. “They had to create audience-suitable activities and they certainly rose to the challenge of delivering fun and engaging workshops. “The enthusiasm and eagerness with which Old Park participated was also great to see – they got fully involved and participated with energy.” Concord’s Head of Music, Mr Stavros Kokkinos added: “I thought it was another successful visit for the third year and a clear example of creative education in action. “We would love to expand on this teaching and learning partnership with Oldbury Park, should an opportune moment arise in the future.” View the photo gallery from the day by clicking here.